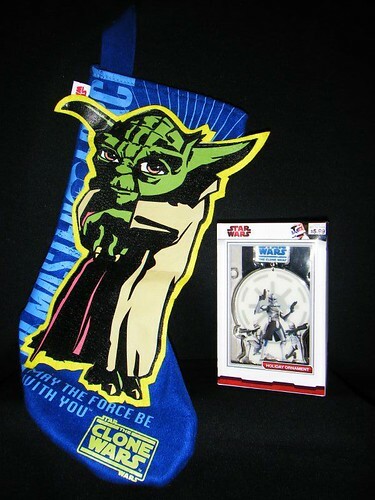 Our first Pre-Christmas Giveaway is a Clone Wars Yoda stocking and an enameled metal Clone Trooper ornament. If you were a Bounty Hunter in the Star Wars Universe what would your name be? One winner will be chosen at random on December 10. My name would be cookiee hunter grrl. courtesy of my 4yr old daughter.